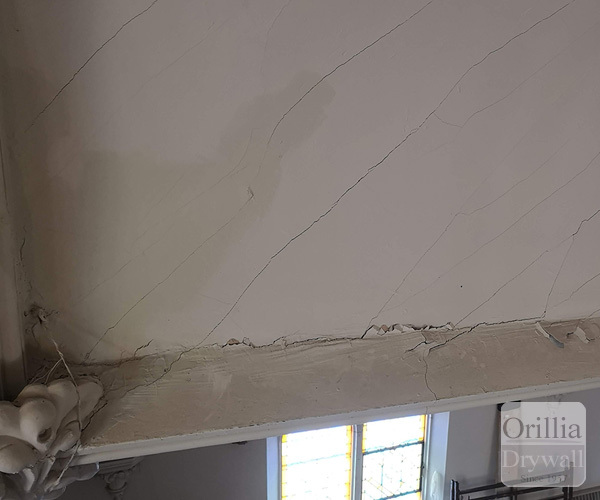 An ambitious restoration project of a beautiful church ceiling in the classical style. 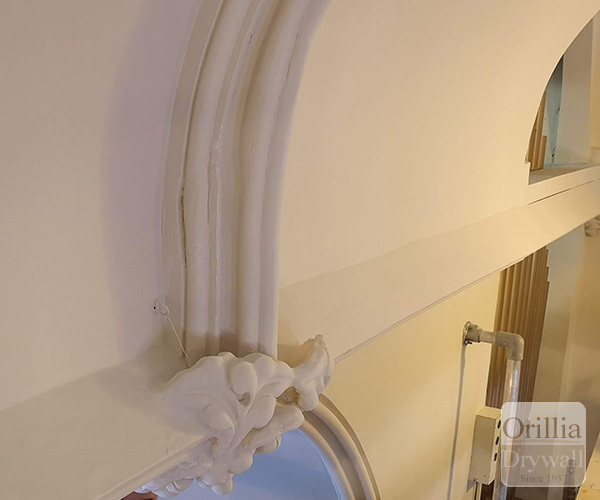 Requiring a large crew, scaffolding and the touch of master crafts-persons, Orillia Drywall restored these beautiful arches and ceilings to their former glory. 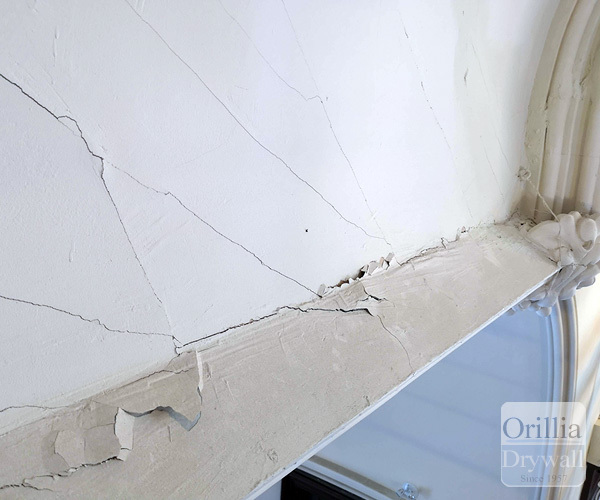 A gorgeous vaulted ceiling plagued with paint and plaster cracks, discolouration. 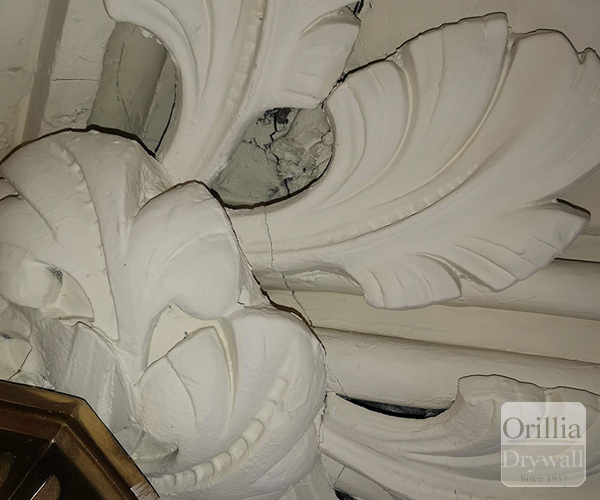 Beautifully sculped decorative pieces in need of TLC. 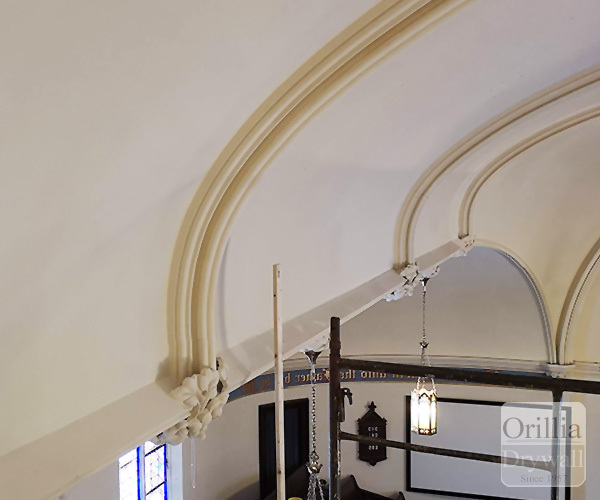 Care was taken to restore the surfaces and lines to like new while maintaining the rustic art deco look. 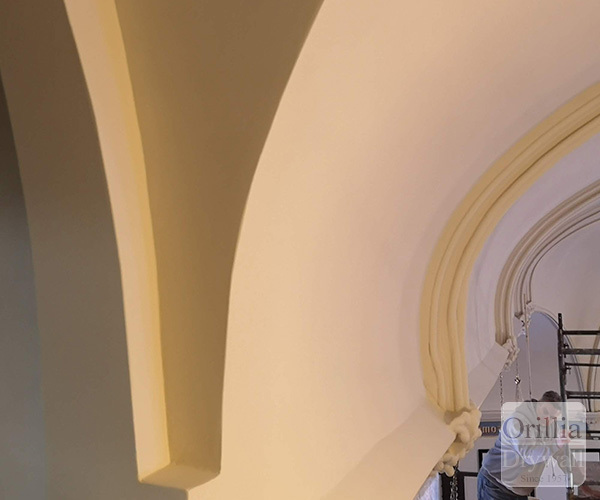 With curved arches, any blemish or irregularity would be visible, so extra care was taken to ensure every line was smooth and perfect. Looking up, patrons now see a beauitfully smooth ceiling with decorative flying butresses.